Location: Monea, County Fermanagh, Ireland. Built: Building was started in 1616. Notes: Monea Castle is a castle in Monea, County Fermanagh, Northern Ireland. It is a State Care Historic Monument sited in the townland of Castletown Monea, in Fermanagh District Council area, at grid ref: H1647 4937. Monea Castle is situated where a Maguire castle would have been based prior to the Plantation and a crannog is still visible. Building was started in 1616 by the Rector of Devenish, the Reverend Malcolm Hamilton. 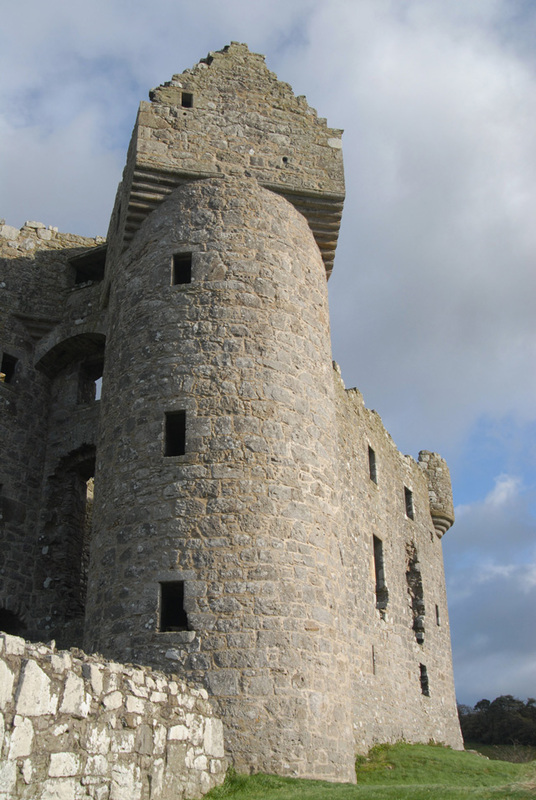 It had a bawn built later, in 1622, shortly before Hamilton was promoted to become Archbishop of Cashel in 1623. In the Irish Rebellion of 1641 it was attacked by Rory Maguire, who "slew and murthered eight Protestants" here. In 1688 it was occupied by Gustav Hamilton, the Governor of Enniskillen, who died in 1691. His wife and children continued to live at Monea, but had to sell the estate in 1704. A few decades later the castle was gutted by fire and subsequently abandoned.